Would you like to work with Coffee With Kenobi and Dan Z? Listeners, viewers, and readers of the award-winning Coffee With Kenobi fit squarely within an advertiser’s target market. 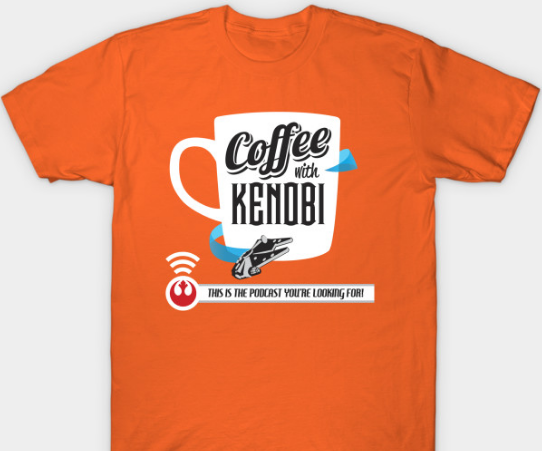 The Coffee With Kenobi brand and content is specifically directed at and targeted towards fans who are listeners, readers, and consumers of Star Wars-related products and services. Our listeners want a voice in fandom, and we provide a platform to help make this a reality. Coffee With Kenobi was named overall Fan’s Choice for Star Wars podcasts in 2016, is the first Twitter verified Star Wars fan site and is heard in over 114 countries. Coffee With Kenobi and its various platforms have a well-established social media presence and have a highly regarded place in the Star Wars fan community. Through Coffee With Kenobi, you will immediately gain a unique, positive, and dedicated media partner for distributing your message through a respected brand and influencer. Bring relevant news to our readership through sponsored articles. Sponsor our newsletter, delivered directly by e-mail to our subscribers. Place ads in our social media. Sponsor our coverage for a specific event. Or discuss a custom advertising and or promotional opportunity. A potential author MUST annotate that it is a sponsored post on the beginning of the post, as per the FTC. Even editorial type sponsored posts need to be marked as sponsored. 2) No follow links are allowed within the post. 3) The post must be family-friendly, spoiler-free, and speculation-free; we examine what is, not what might be. We do not partner or work with gambling sites. All of the above criteria are non-negotiable. 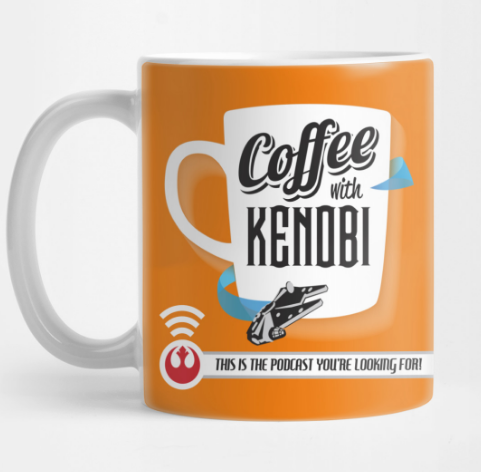 Coffee With Kenobi has numerous advertising and marketing opportunities available with our podcast and website. If you’d like to partner with Coffee With Kenobi and reach our ever-expanding audience, email Dan Zehr by using the form below and request a Media Kit. Disclaimer: Coffee With Kenobi, its podcast, website, and social media accounts are not endorsed by the Walt Disney Company or Lucasfilm Ltd, and is intended for entertainment and informational purposes only. Star Wars, all names and sounds, and any other Star Wars related items and related properties are trademarks and/or copyrights, in the United States and other countries, of Lucasfilm Ltd. and/or its affiliates. TM & © 2014 Lucasfilm Ltd. All rights reserved. All other trademarks and trade names are properties of their respective owners. The official Star Wars website can be found at www.starwars.com. Steve Torok’s jazz music is the Intellectual property of Steve Torok (Copyright: 2014). All original content of this podcast and website is the intellectual property of Coffee With Kenobi unless otherwise indicated.